Andrei Tarkovsky’s final masterpiece, The Sacrifice (1986) is a haunting vision of a world threatened with nuclear annihilation. As a wealthy Swedish family celebrates the birthday of their patriarch Alexander (Erland Josephson, Cries and Whispers), news of the outbreak of World War III reaches their remote Baltic island — and the happy mood turns to horror. The family descends into a state of psychological devastation, brilliantly evoked by Tarkovsky’s arresting palette of luminous grays washing over the bleak landscape around their home. The film’s masterful cinematography is by Sven Nykvist, Ingmar Bergman’s longtime collaborator. Made as he was dying of cancer, The Sacrifice is Tarkovsky’s closing artistic testament, a profoundly moving, redemptive tragedy steeped in unforgettable imagery and heart-wrenching emotion. 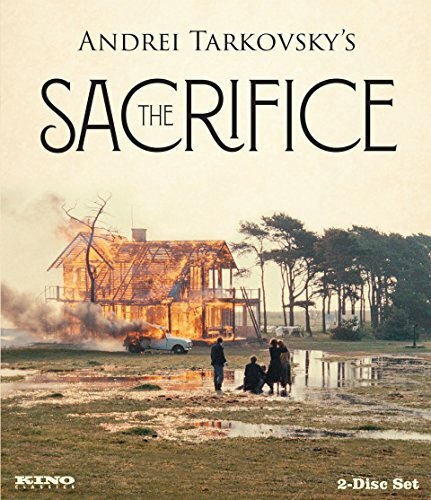 THE SACRIFICE and director of DIRECTED BY ANDREI TARKOVSKY"
If you have any questions about this product by Kino Lorber, contact us by completing and submitting the form below. If you are looking for a specif part number, please include it with your message.